Originally published in 1994 this volume investigates the relationship between a firm's decision to integrate vertically and its research and development (R & D) strategy. 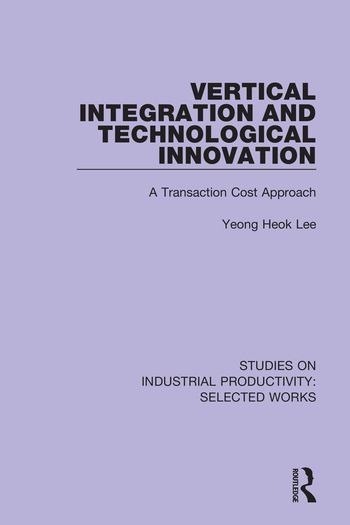 Literature on vertical integration is reviewed and a framework presented to analyze the costs and benefits of vertical integration. The theoretical basis for the proposed hypostheses is investigated and the hypotheses tested empirically.